Tax Deduction Wisdom—Should You Itemize? Learn whether itemizing your deductions makes sense, or if you should simply take the no-questions-asked standard deduction. The standard deduction is always easier, but for one out of every four taxpayers, itemizing pays off with a lower tax bill. Browse this quick tax deduction overview to avoid paying more taxes than you actually owe. 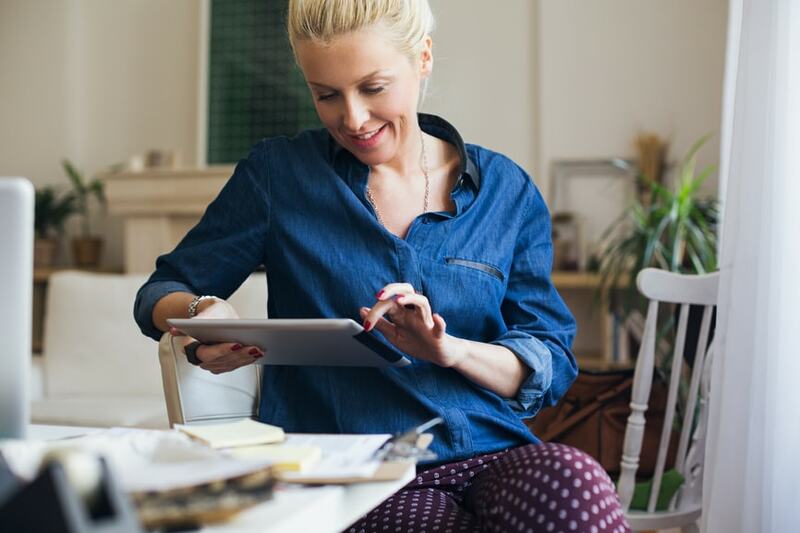 Tax season pressure may tempt you to accept the standard tax deduction, rather than exploring the potential benefit of itemizing your deductions. Those are the numbers for most of us, but some people get even higher standard deductions. If you're 65 or older or blind, you get to increase your standard tax deduction by the amount listed below. Many taxpayers take the standard deduction rather than itemizing their tax deductions, even though some taxpayers with mortgages or home equity loans could have saved money by itemizing. If you have a mortgage or home equity loan on your home, fill out Schedule A to see if your itemized tax deductions are larger than the standard tax deduction to which you're entitled. In January, your mortgage lender should provide you with the amount of mortgage interest you paid during the previous year. Look for Form 1098, Mortgage Interest Statement in the mail. If you paid points as part of financing your home, the points will also be shown on that form. Tip: Mortgage lenders sometimes attach Form 1098 to your December or January mortgage bill. Here's a quick rule of thumb: Compare your mortgage interest (plus any points paid on the purchase of your residence) with your standard deduction. If you have refinanced your mortgage, points on the refinancing are deducted gradually over the life of the loan—1/30th a year on a 30-year mortgage, for example. Don't forget to add each year's share to your deductions. For more information, consult IRS Publication 936: Home Mortgage Interest Deduction. If the interest you paid on your mortgage is larger than your standard tax deduction, you definitely benefit by itemizing—and all the rest of your deductible expenses (including real estate taxes, state and local income taxes, and charitable donations) are frosting on the cake. Many lenders provide a year-end tax summary that includes any real estate taxes and insurance paid through escrow accounts. The real estate taxes are deductible, but homeowner's insurance and homeowner's association fees are not. If your real estate taxes aren't paid through an escrow account, review your property tax bills and cancelled checks and add up what you paid. You can't deduct any penalties you paid for late payment of property taxes; you can only deduct the actual taxes assessed and paid. Mortgage Insurance premiums are no longer deductible after 2017. This deduction phased out for taxpayers with AGI of $100,000 to $109,000. Even if you don't own a home, itemizing can pay off handsomely. Look at the income taxes that you paid to your state, and to your city or county, if applicable. Income taxes you pay to these governments are deductible. Add up the state and city taxes shown on your W-2s and compare the total to your standard deduction. If you made estimated tax payments to your state or local government (including any 2017 refund you had applied to your 2018 tax bill), be sure to total those amounts. And don't forget to add in any money you sent with your 2017 state and local tax returns in the spring of 2018. You can deduct charitable donations only if you itemize your deductions. Add up the money you donated to organizations like the Red Cross, churches, synagogues, mosques and other nonprofit organizations. If you donated things like clothing, furniture or other household items, you need to determine their value. One way is to find out what your local thrift shop is charging for similar items, or you could use a software program like ItsDeductible that does this work for you. Make sure you use good judgment and don't overvalue your donations. Note that the law now demands more substantiation than in the past to back up charitable deductions. Under the old rules, taxpayers needed a receipt to back up any charitable contribution of $250 or more (a cancelled check was not sufficient). That's still the case for contributions of $250 or more. But now you also need a receipt or a cancelled check to back up deductions for smaller donations as well. Also, not all charitable contributions can be claimed on your tax return. Know what you can and can't claim to help you maximize the potential tax savings. Although medical expenses are deductible, very few taxpayers get to deduct them. Why not? Because you get to deduct such costs only to the extent that unreimbursed expenses exceed 7.5% of your Adjusted Gross Income in 2017 and 2018. So if your AGI is $50,000, for example, the first $3,500 ($50,000 x 0.075) effectively doesn't count. Before you go through all of your doctors' bills and prescription receipts, do a quick calculation based on your income to make sure your time will be well spent. Deductible medical expenses include doctor and dentist fees, chiropractor fees, lab fees, contact lenses, glasses, prescription drugs and medical supplies. If you have a question about a particular medical expense, consult IRS Publication 502: Medical and Dental Expenses. You can deduct the premiums you pay for health insurance coverage, unless your employer pays for your coverage through a payroll deduction using pre-tax dollars. If so, you've already received a tax benefit for your premium payments, so don't deduct those premiums on your tax return. If you're not sure, consult your employer's benefits department. Most of the remaining deductions are subject to a limitation similar to, but less stringent than, the one for medical expenses. Review the miscellaneous deductions listed below. Add up the ones you can take. Calculate 2% of your Adjusted Gross Income. You get a deduction to the extent that the total of miscellaneous deductions exceeds 2% of your Adjusted Gross Income. If the total falls short of 2% of your Adjusted Gross Income, you can't deduct any of these items. After the 2017 tax year, the above miscellaneous deductions are no longer deductible. Amortizable bond premium - The amount over face value, or premium, that you pay for certain taxable bonds because they are paying higher-than-current-market interest rates. Premiums on tax-exempt bonds are not deductible. Gambling losses - This write-off comes with its own restriction. You can't deduct more than the amount of gambling winnings you report as taxable income. Federal Estate Tax on Income in Respect of a Decedent - This is becoming an increasingly important deduction as more and more taxpayers inherit money in company retirement plans or traditional IRAs. Such amounts are considered "income in respect of a decedent" because the decedent had a right to the income at the time of death, but the income is not included on the person's final tax return. Instead, the beneficiary is taxed on the amounts.You might also deserve a deduction, though, if the decedent's estate was large enough to pay federal estate taxes. Say, for example, that you inherit a $50,000 IRA which, because it was included in your mother's taxable estate, boosted the estate tax bill by $20,500. Although you have to pay tax as you pull money out of the IRA, you also get a deduction for that $20,500. If you pull the full $50,000 out at once, you'd get the full deduction. If you pull it out equally over two years, you'd deduct $10,250 each year. This miscellaneous deduction is not subject to the 2 percent limit but it's up to you to know the rules to take advantage of them. There are many other expenses that you can deduct. For example, if you're involved in estates, trusts and investments, or if you have significant job-related expenses, it's worth your time to investigate a bit further. For more information, see IRS Publication 529: Miscellaneous Deductions. TurboTax can help you decide whether you should itemize your deductions. Simply enter all of your information when prompted, and let the program determine if it's better for you to itemize or take the standard deduction.